Thank you, Freecycle! 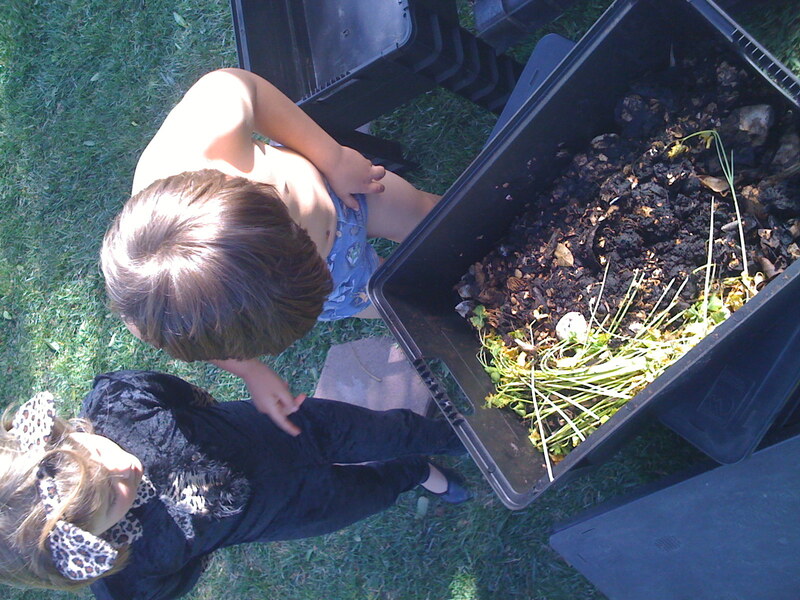 We just picked up two real (as in designed for the purpose) worm bins. And we even got the red wrigglers. 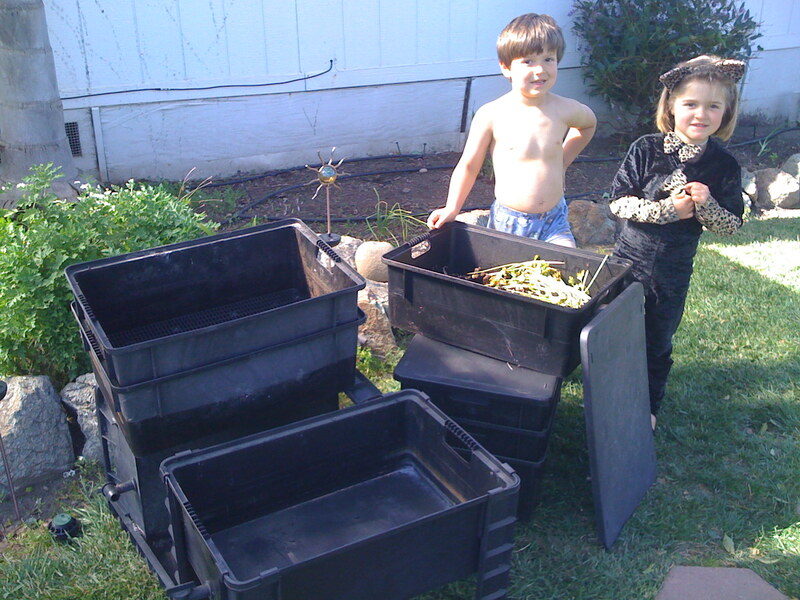 Now, along with our homemade bin, we will have plenty of compost and castings. Plenty. The woman who freecycled the bins told us that she had gotten them for free from the City of SLO. Time to put on the Deerstalker and investigate! I just found your site and it is lovely! I am a teacher at an AG homeschool hybrid trying to get a worm bin going on the cheap for our school. I have gotten a really nice worm bin but am looking for a local source for worms. Any ideas? Thanks! Worms = so very helpful and they ask for so very little in return. Yes, all those things we don’t want anyway! And they give us back the world’s BEST compost. Love ’em!